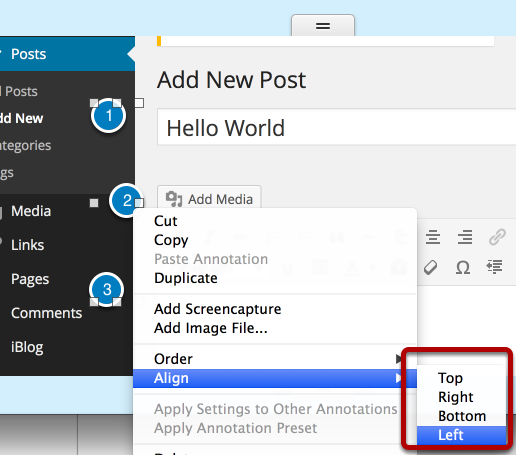 The annotation contextual menu gives you the option of aligning or relayering your annotations. Select the annotations you would like to align and then right-click on one of them. 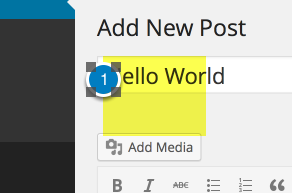 From the Align submenu, select how you would like to align the annotations. The annotations will then be aligned. 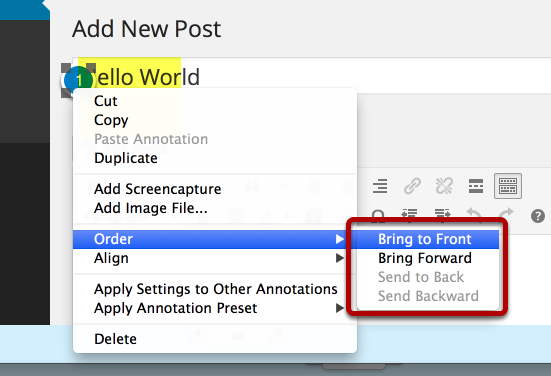 To change the layering order of an annotation right-click on it and select an option from the Order submenu. 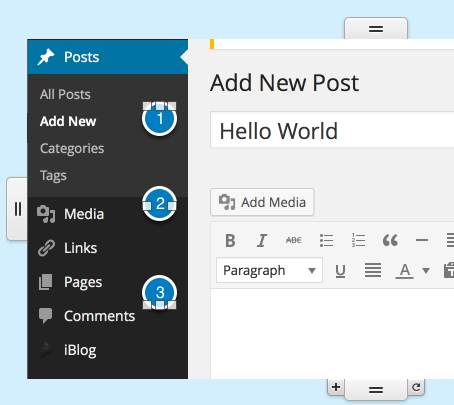 The annotation layer will then be changed. In this example I moved the sequence annotation in front of the highlight annotation. Next: How do I resize images and the image canvas?